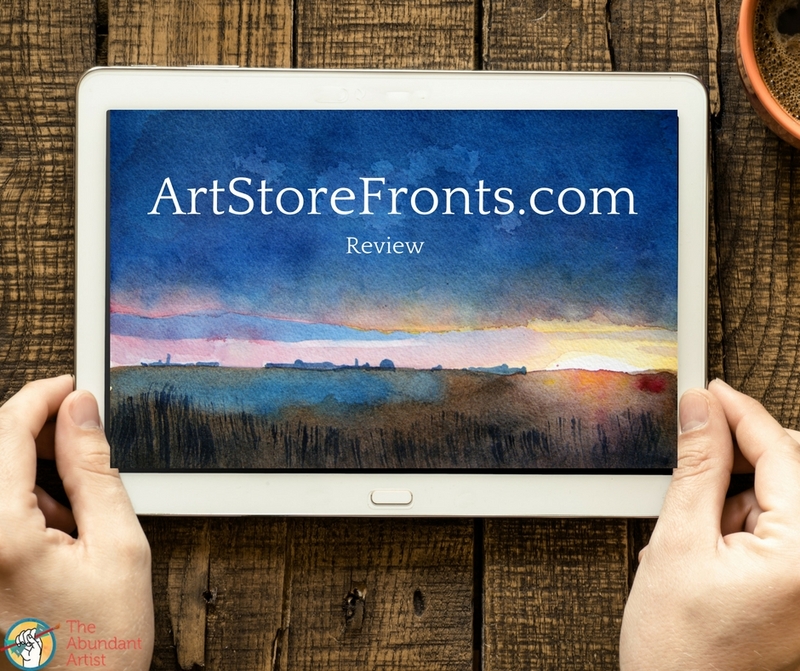 In our continued quest to test most of the major website platforms and figure out the best options for you, dear artists, we’ve taken some time to give ArtStoreFronts.com* a try. Disclosure: ASF pays me to be a community liaison for them in their forums. 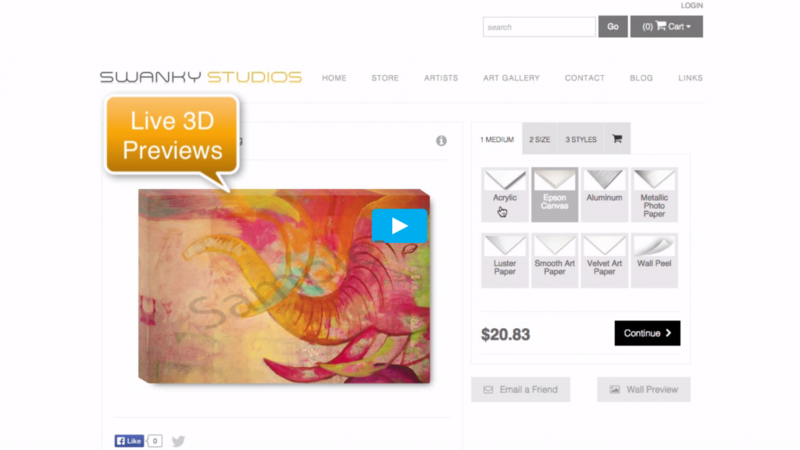 A website service similar to FASO, Shopify or Squarespace, ArtStoreFronts.com (ASF) offers websites for artists. ASF’s biggest plus? If you are an artist who wants to sell prints, ASF gives you a Print on Demand (POD) business for just your art, alongside a store where you can also sell original art. We’ve covered the POD business a couple of times before here on the TAA blog. See our Ultimate Guide to the Print on Demand Business. Other POD companies act as marketplaces where thousands of artists sell their art. These companies also act as gatekeepers between the artist and the buyer. The customer’s contact info stays with the company, and the artist is unable to market to that person again later. ASF solves this problem by connecting the website that they provide for you with a printer who will print, package and ship to the buyer. Since the transaction happens on your website, the buyer’s info is yours and you build your mailing list when you make sales. ASF sites do all of the things you need them to do – ecommerce, a blog, secure transactions, and more. They also allow you to add tracking pixels for marketing on Facebook and other advertising platforms. You don’t have to sell prints to use ASF. About 60% of their customers just use the website and either don’t sell prints or sell via a local printer not using the ASF system. …the fact it ties directly into Skyline Art Printing for fulfillment makes my life easier. They also came up with a great teaser at the front of my website offering the end user a 20% discount on their purchase. It has more than paid for itself on a monthly basis. All in all, I’m super happy with Art Storefronts! They have completely streamlined my system, and dramatically improved the way I sell my art online, and fulfill my art for my customers! “My Art Storefronts experience continues to be a nightmare for me so I’ve begun the transition over to Shopify’s professional plan with abandoned cart recovery. When I asked ASF about this quote, they said that ASF had multiple accounts that had millions of dollars in sales. EDIT 9/7/16: ASF tells me that this artist was on an older plan that no longer exists, and that future customers would have a completely different experience going forward. ASF carries a relatively steep price tag for a template website service. Their setup cost starts at $500, and their monthly fee is $29 – $59 per month (a discount is available if you pay annually). ASF says that this up front fee is because they schedule an initial onboarding call with a member of their staff to make sure you get your site up and running successfully. In addition to the fee, the website can be relatively time-intensive to set up. Because ASF offers many variations of sizing and substrates for each of your paintings, setting up each piece of art can take some time. If you aren’t used to complex internet and software tools, ASF might cause you some frustration. Because of this heavy up-front investment, we recommend that if you are just getting started in your art career and don’t have a strong business background with a clear path to recovering that investment, we recommend you start with something simpler. See our guide to picking an artist website service. With all of that said, ASF has an impressive Success Plan. 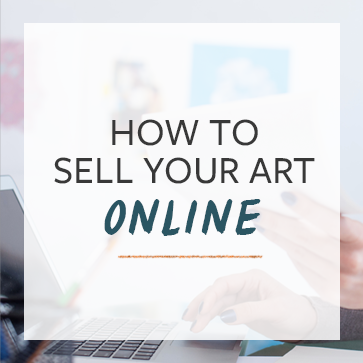 It’s a step-by-step guide to selling art online with their platform. ASF’s team includes some pretty savvy marketers. I’ve had a few conversations with them, and I respect their knowledge. At the very least, you should read their blog, because its both hilarious and really helpful – a rare combination indeed. At the end of the day, ArtStoreFronts.com* is like any other artist website platform – its just a tool. They provide a website that works, albeit with a fair amount of complexity. While we don’t recommend ASF for beginners, we think that its a solid option for artists who have a strong audience and business acumen. I tried Art Storefronts about a year ago. I paid their annual plan at the time I think it was $1200 or so which was a lot for me but I liked their features. I worked very hard on populating all of my products into the website and was setting things up to allow people to choose the original painting or different sized prints. Things were progressing well but when I was nearing the end I had several products that I did not want to sell prints of. It wouldn’t allow me to do that. Just sell the original. I called them and they said that I would have to be set up as a completely different option for just originals. That would mean that I would have to re-enter all of my products and separate the originals from the prints plus make them two separate shopping pages. Very frustrating. This product was clearly designed for print shops and not artists. Artists were an after-thought. Between that issue and trying to figure out shipping options, I gave up. That being said – I’m still considering trying it again. Keeping originals totally separate from prints and using one of their print shops to deal with the prints. Did you say $1200 a year? That’s a bit steep, and it seems like a lot of hassle. What I care about is the expertise in marketing and audience building. I’m wondering if I might get comparable service by joining the TAA Association. That’s a question maybe Cory could answer. Certainly the marketing instruction and community within TAA Association doesn’t cost $1200. I like to think our marketing instruction and community are the best in the business. Your words “steep” and “hassle” caught my attention. I’ve paid a lot of dollars for websites over the last twenty years that virtually did nothing for my revenue stream as an artist. When I invested in ASF and launched my website I began to earn a return on my investment: this hasn’t been a “hassle”. Yes, it has been work on my part but hardly a hassle. I now have an online retail store where I set my own margins and it works very well. Sales are happening. The bonus has been the marketing support from ASF: it has been very, very practical to implement ASF marketing suggestions, ideas and concepts sourced through articles, videos and peer forum groups. A bit steep and a lot of hassle? Hardly at all. The best part is I’m never alone when something needs help (technical or marketing): a message gets me solutions quickly. Not sure what else to say. My ASF based website is awesome and the marketing support is too. I’ve spoken to print shop owners who deny access to ASF because they asserted that ASF doesn’t really have the artist in mind…their whole set up is staged to profit printers….not artists. And after being on the phone with ASF a couple of times…it’s easy to see they are truly no different than other PODs…even though they swear they are not a POD service. It’s true…their not…they are the middle man. Open Source API can be downloaded by anyone to set with any printer of your choice who can connect their systems with you. Why pay 1200-6000 a year when you can do much of what they offer for free in your own? Who do you recommend for beginners artist? I really love this service and happy with all the features and support! I’m waiting my first transaction thru site but that’s mine to sort out. As an IT pro, I couldn’t have done this in a million years and find Artstorefronts to be all that and box of chocolate. Over the holidays, I’m going to dive deeper into customizing the templates, but overall, excellent service and product. To get all of the bells and whistles that the service has to offer it costs $ 2000.00 one time set up fee and $ 60.00 per month. I do feel that this is steep and in my experience many of these companies spend most of their money getting new artists to sign up and do not help in any way whatsoever to market the artists that do sign up. They actually told me that they do not in any way help to market your work they simply provide you the template for selling and closing deals. It is a good site for purchasing art that is for sure and if you are established already I think it is a great tool for selling your art but for that price you better be sure that you are selling lots already! I definitely agree, there was virtually no help with the things I, as an artist, actually needed help with. The blog posts (which were mostly sales pitches, and I liked the style of them) seemed to indicate that they would provide a lot of marketing assistance, and I was thinking things like romance email templates, etc. There wasn’t really anything like that. The art marketing calendar was nice, but only populated up to 2 months in advance, so it was practically useless for planning ahead. The initial setup fee is INCREDIBLY steep, considering you have to actually do all of the setup work yourself. During the sales call, I thought they get the site set up for you initially, which is why there’s a $500-$2500 fee, but no… they just call to see if you have any questions, but don’t do anything at all as far as actually putting the site together. That sort of thing should just be included in the service, not something you have to pay THOUSANDS of extra dollars for! Definitely would not recommend to anyone, unless you are already successfully selling a lot of work and like the style of their sites. Thanks Joanna Marie Art! Very helpful info! Joanna Marie Art, I looked at your site, and I love your work, and site. Could I ask what service you use for your website? Thanks in advance. I am considering signing up, love the features and marketing calendar options. I have gathered some good questions from this sharing, and will also check out the TAA approach. I know, from experience, that just having a beautiful site is not enough…the user-friendliness of this site is a significant plus to me, and the guidance with marketing. The work still has to be done of connecting to and building an audience, no matter what…not always an artist’s favorite part when it takes time away from the studio! I recently saw an Art Storefronts demo and pricing after reading this post, and have to say the information here turned out to be mostly out of date and not that helpful. The features discussed and how it works bear almost no resemblance to the presentation I just saw, not to mention the pricing here is completely off. So if it is out of date, why don’t you just post what the current rate is? A complete waste of time and money. I had an artstorefronts site for about a year. No sales. I did all the social media and search engine SEO reccomended. At the end of the year my site still did not show up on the first 20 pages of a Google search. I think maybe Google blocks them. Thanks Douglas! Your review was very helpful for me! Their SEO system makes your site search engine friendly and not much more. SEO is a much larger process than filling in a few fields and putting some copy on your pages. As for not landing in the first 200 results: bear in mind that there are millions of online “artists”, galleries, news articles, blog posts, frame shops and printers who are all optimizing their SEO to compete for the same keywords. If you want to score well in the results, you’ll need to put in the same investment of time and money as the big boys. Successful entrepreneurs know from experience that running a profitable business in not cheap nor is it easy. ArtStorefronts, while excellent, is merely one small part of running your business. The platform works, and it works very well as is shown by a large number of artists. Your ASF website is a stand-alone presence that is tuned to help you make sales AFTER a user lands on your site. Like any successful business model, it is up to the artist to get that traffic to the site. Websites are not a “build it and they will come” situation. Fine art america is in the business of selling memberships, cheap wholesale prints that no museum would consider, and selling art – any art, they don’t care who’s. Having your own website is a great start, but it’s only a start, the artist still has to sell themselves. This (opening post by Douglas) is way off. Understanding SEO phrases and keywords require a great deal of research on the part of the artist, and you need to find a way to apply it to your own unique niche’ to direct traffic your way. A new website is similar to putting up a billboard somewhere out in North Dakota, far from any roads. You need to build the streets and highways and direct them TOWARDS your billboard just to be seen, then you need to have a great product and description so people know exactly what you are marketing and how it helps them or solves a problem. In your SEO fields, did you limit your titles to 60 characters and meta to a short but accurate description? Did you research what your potential clients may use for keywords and long tail phrases? How about social media? Did you create a Business Facebook page and optimize it? Did you create a sitemap and submit it to Google and Yahoo search engines? I started with the ASF platform in early 2016, and it was a ton of work creating products, shipping weights, a pricing schedule etc.. And sure, some parts of their platform were still in beta phase so there were bugs needing extermination. I started over with a new domain name since my target audience was more Luxury brand, so I began at the basement and did NOT ride my own coattails from previous websites. I waited over 16 weeks before launch and already made my first sale in early May of that year. At years end the site paid for itself, but far behind my nice 5 figure salary off my FAA website. By year 2, I was still barely able to find my site via Google search if I Googled myself! I ranked fourth behind me, me , me and me. I finished the year just shy of 5 digits in revenue. Still had a lot of work to put in to achieve my goals. Last years Fine Art sales began to flourish, and I began to obtain clients in the healthcare industry for large installs and other luxury brand clients needing high-end print formats. I was getting serious traction, and the reason for it was all the work I put into it. I hope this helps anyone considering the ASF platform. your review was very helpful for me! Good art and it is easy to use your website. Good work! Nice website. I looked into the Fineartamerica.com and that’s a great feature to allow you to sell through your website. How do you sell your originals? My experience with ASF was a disaster from the vet start. The sales pitch was borderline believable, so I pushed back and asked for a trial period. No such thing existed. There was not even any 30 day money back guarantee. I knew better, yet I decided to take the plunge. The set up process was miserable. The focus of ASF is to sell, sell, sell. Trying to create a non sales page was, and still is a huge hassle. The ASF pitch is only on selling. I attempted to engage visitors to my site with a helpful background about who I am, and what I do. That was discouraged. The push from ASF was a high “conversion” rate. Translated that means a sale for each visit, which is utter nonsense. Potential visitors tend to browse first. Best case, the return for a sale in the near future. My other huge hassle was with the wall preview. I print handmade Platinum Palladium prints. Most of the prints are panoramic and measure 8”x20”. That size does not look good on a blank wall that is 12” tall. I just wanted the advanced features, but not the wall preview. I also hit a huge snag when I tried to post my prints as originals. That was a battle I finally gave up on. I also ran into huge problems with the marketing strategy. Facebook, Instagram and most other social media sights have been overloaded with questionable advertising and politically motivated content. I felt that the marketing approach was a waste of time. I did let ASF know about my negative experience and the promised to look into my problems and get back with me. There was no follow up on that. I did get a free extension on my plan. After tak8ng a small break I went back and attempted to breathe some life into my failing web site. So now the time has come to pull the plug and move to another more effective and affordable website hosting. I’m sure there are those that had success on ASF, yet my experience was 180 degrees different. I would consider the cost and effort required for hosting on ASF and learn from my financial mistakes with ASF. HI, I’m considering going for the ASF experience, but I do see a lot of mixed reviews. I’m mostly curious about the startup cost, but also about their % take on prints. I was told by the (very helpfull) sales guy it would be a 10% commission on open editions and 5% on limited. On top of the start up cost and the monthly fee, this seems like a lot to me. Any thoughts? The rates range from an introductory package to a more advanced package which offer all their latest shopping support experiences like Wall Preview and AR (augmented reality). Does the transaction fee cover the cost of printing or just the cut Art Storefronts takes? Vanessa, The transaction fee is just a percentage of your total sale, minus shipping/handling and tax. If you sell an open edition piece for $500.00, charge 25.00 for shipping ($525.0 total) ASF takes 10% of the $500.00 and your bank takes a small fee for the swipe or online transaction. The 10% fee you pay is a business expense, so you write it off in the loss column. Same applies to the PayPal or stripe fee. You DO NOT have to use an onboard print service, you are free to use the services of your favorite print lab. I actually suggest doing so. You need to be cognizant of your markup and making sure the profit margin is acceptable.